I was selected to participate in a special opportunity through the Disney Parks Blog- to view the animal care facilities behind the scenes. 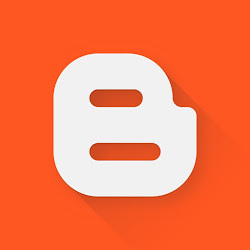 I am thrilled to have been able to take part, and I wanted to share my experience here. We were informed that this tour was not the same as the Backstage Safari Tour that guests can reserve through Disney, but offered a one-of-a-kind encounter with cast members who were directly involved with the care and training of animals. There were nineteen people present; we were divided into two groups, and driven by van to the backstage area. The Disney geek in me was just excited to be riding in a Walt Disney World van! We passed the area where the new Festival of the Lion King Theater was being constructed, but in true Disney fashion it was under wraps and we weren’t able to view a lot from the road. 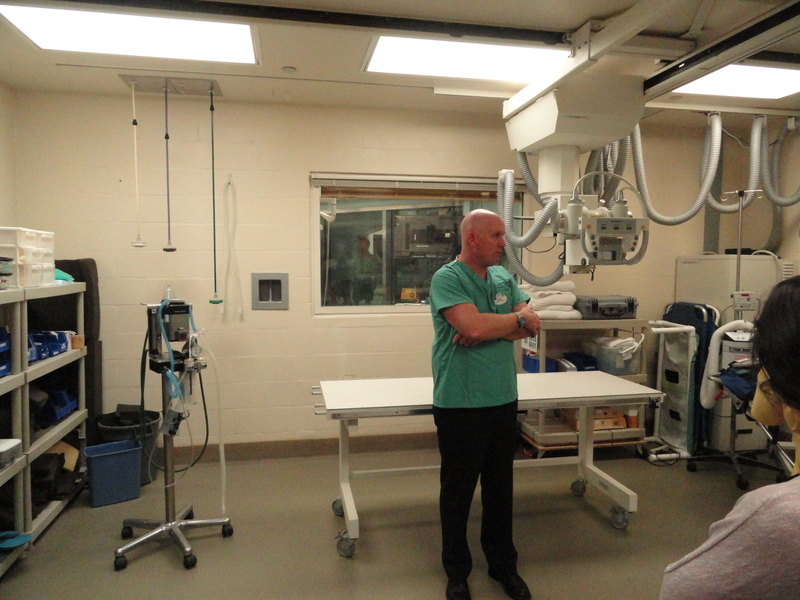 We had two different opportunities: to view the lion housing area and to tour the veterinary hospital. My group was able to view the lion housing area first. As this was a backstage area, no pictures were allowed. There were two lionesses and one lion in the holding area: the lionesses were pacing back and forth upon seeing us, but the lion just continued his afternoon nap, on his back, showing his tummy! These lions were approximately five years old, and have been with Disney for approximately two years. The lions out on the safari were seventeen years old, so quite a bit older. The two sets of lions are on a three day rotation: every three days the backstage lions get to go out on the safari, and the safari lions then spend their time in the holding area. At no time are the two male lions allowed contact with each other; there is an empty pen kept between the young lions and the older lions. All food given to the animals are dead, because of the hazard a live animal could potentially give to the animal consuming it. The safety and well being of the animals is of utmost concern for Disney, and we were given the example of giving a live rat to a snake who was not hungry, and having that rat bite the snake and causing injury. One of the challenges the animal staff encounters is training the lions to do a voluntary blood draw. There is a special cage where the lions are encouraged to enter, and a small side panel drops down to allow their tail to swish out. The bigger an animal’s tail, the more blood vessels it contains, so access to a lion’s tail allows the staff to safely do a blood draw, to order to monitor the health of the lion. As I mentioned before, this is all voluntary on the part of the animal, and at no time does Disney force the issue. All desired behaviors are encouraged using positive reinforcements, such as favorite foods. The five year old lionesses are still in the training stage, even after two years. There are ten veterinarians on staff at Disney, to care for approximately 2,000 thousand animal at Animal Kingdom, 300 animals located at Animal Kingdom Lodge, and 3,000 animals at the Seas with Nemo and Friends. There are times the animals at Animal Kingdom Lodge are moved to Animal Kingdom, and vice versa. It all depends on where an animal thrives best. At night the animals on safari are called into their holding areas with a special sound unique to their species. However it was noted that during the summertime some of the animals would prefer to stay out, and they are not forced inside. It typically does not take long for new animals to learn the sound and follow the path into their holding areas. There is also a different, emergency signal that the animals learn, to come in during the day if necessary. This is practiced once a month. In the case of the lions, a special treat of rabbit is presented to them upon return to the holding areas. This special signal would be enforced if bad weather was approaching, or if something came inside their pen that could be potentially harmful to the animals there. 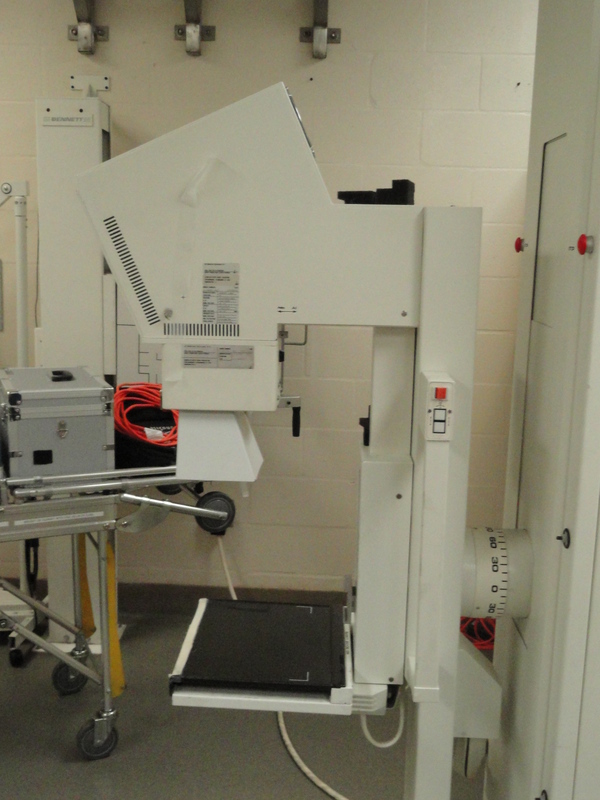 We were led into the x-ray room- on the picture below the table you see supports animal weight of up to 1,000 pounds. The cart in the picture below is unique in that Disney is the only animal care facility that has one, mainly because it is cost prohibitive to other animal facilities and they cannot justify the expense. The cart contains everything pictured in this room, so that it can be transported directly out to the animal. In the past, x-rays would be taken on a sedated animal in the field, an intern would come back to this room to develop the pictures, and then more likely than not, the image would be blurry because an animal had moved at the last minute. So then the intern would need to return to the animal, retake the x-ray again, and hope this time it provided a clear image. Each additional x-ray that needed to be taken required the animal to be sedated for a longer period of time. 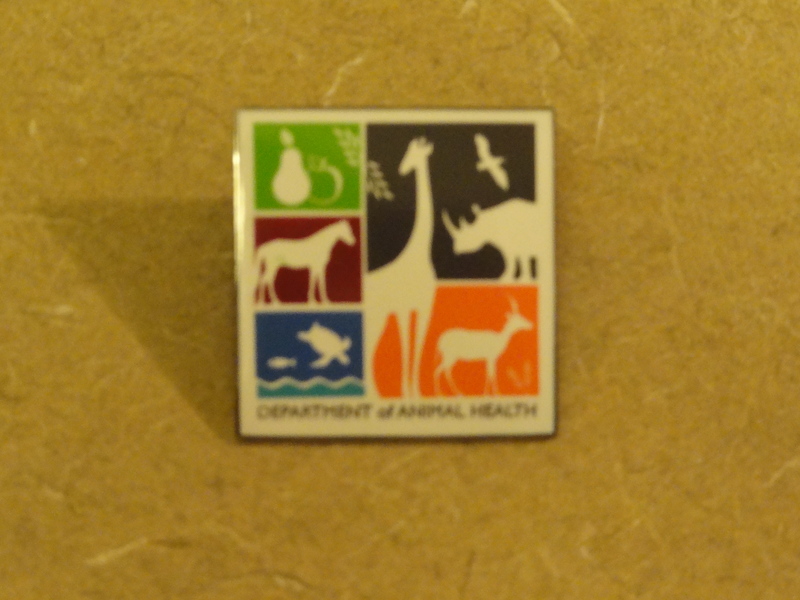 Dr. Scott stated that Disney purchased the cart, not because they’re Disney and need to have the best equipment there is, but because it provided a significant increase in the quality of care that the animals received. 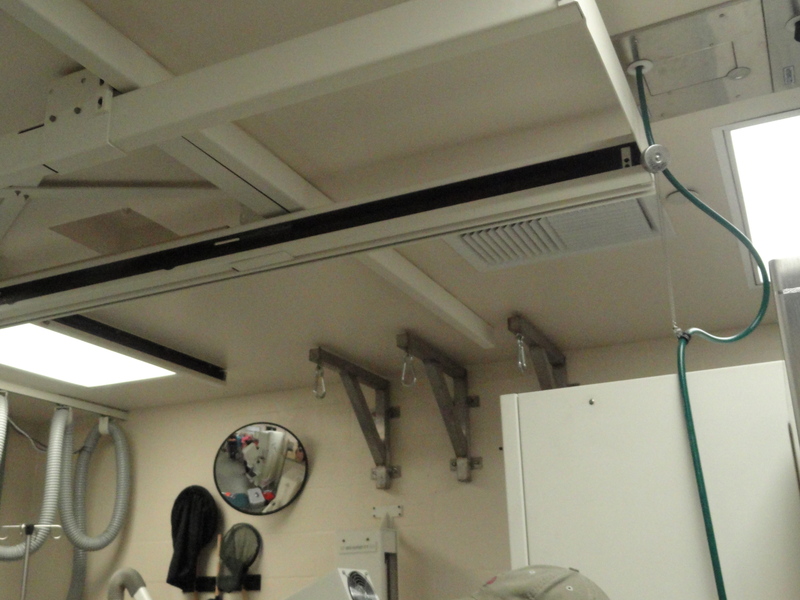 The grappling hooks in the next picture are used to support gorillas during a chest x-ray. Older gorillas tend to have a high incidence of heart disease, and in fact, two gorillas on Disney property do have the condition. This, of course, needs to be monitored, and one way is through chest x-rays. Because the gorillas need to be standing up during the x-ray, and because it is impossible to support the gorillas in an upright stance while they are sedated, it is necessary to support them through the use of these hooks. 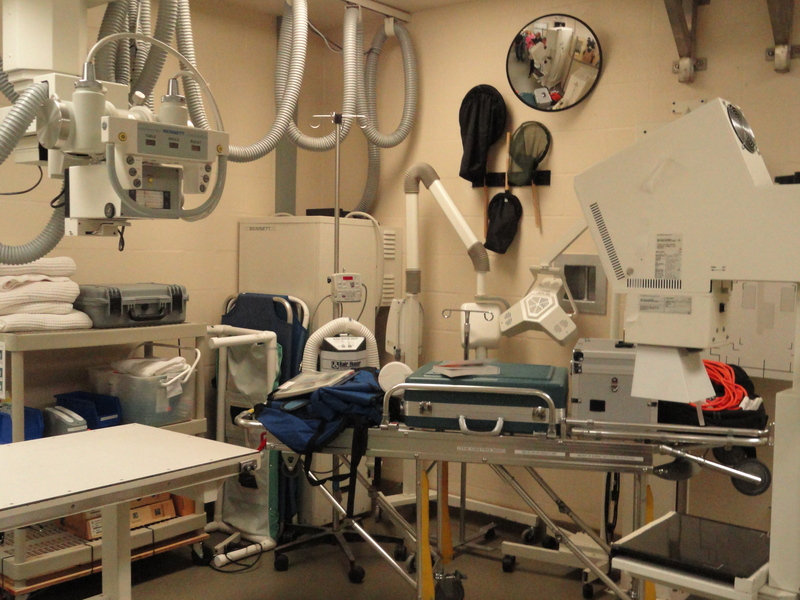 This is a picture of a mammogram machine that is used to provide care to the animals: not in the way humans use the machine, but on any area that requires a closer inspection. 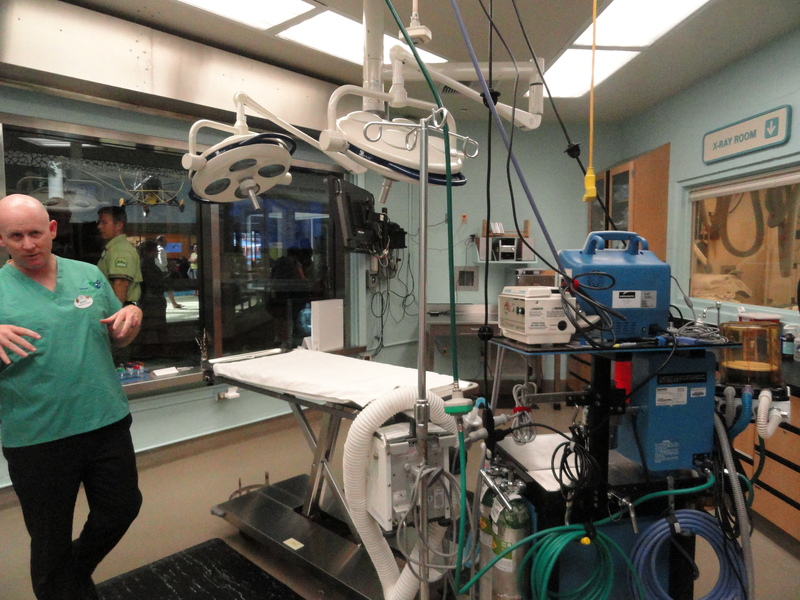 We were then led into the main operating room, which as you can tell from the photo is observable to park guests from inside Conservation Station. This is where 90% of all the procedures take place; Dr. Scott stated that they do not pick and choose which animal gets treated. It just depends on what animal needs care on a particular day. If they strongly suspect a particular animal will not survive the procedure, then they may perform the operation in an inner room. He stated that life and death happens in this room, and there are times when staff members need to go outside the room afterwards and talk to guests about what happened. All procedures are performed in the morning, and the best time to be there is 10am if you wish to witness it! We were then taken into an inner room to view a “patient”, a turtle who had been hit by a car which cracked its shell. 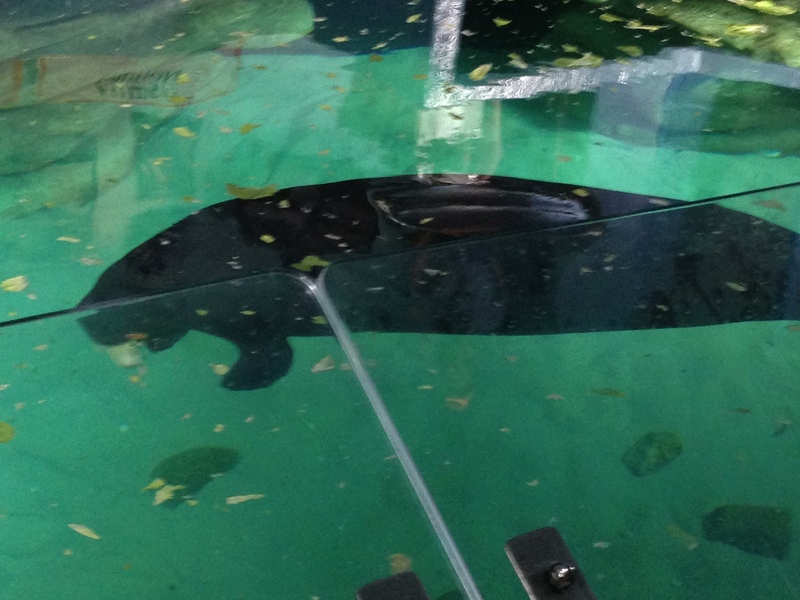 We were informed that the turtle was 98% healed, but because Florida is entering cooler weather, with cooler water temperatures, they felt it better not to release her until the spring. No pictures were allowed at this point. Overall, it was definitely a magical experience! 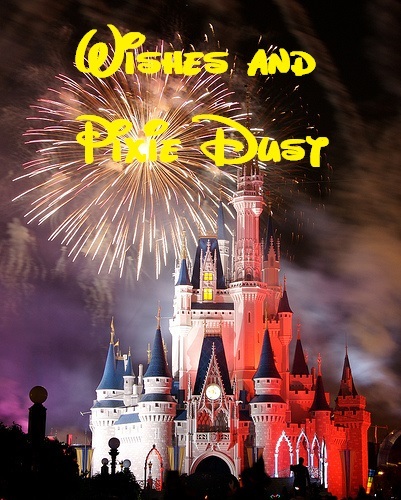 A huge shout-out to Walt Disney World for allowing a few guests to see the inner magic of Disney. 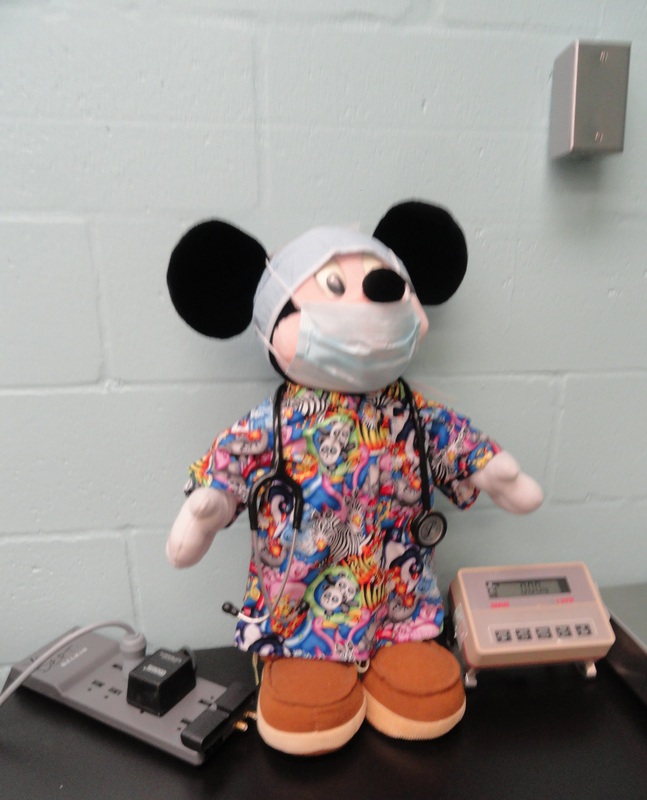 As dedicated as Walt Disney World is to the safety and enjoyment of their guests, this also applies to their animal residents, and it was a privilege to be able to witness how dedicated the veterinary and animal team are to their residents. Categories: Attractions, Disney, Moving | Tags: Animal Kingdom, Limited Time Magic, move to florida, moving to florida, Relocate to Florida, Walt Disney World | Permalink.